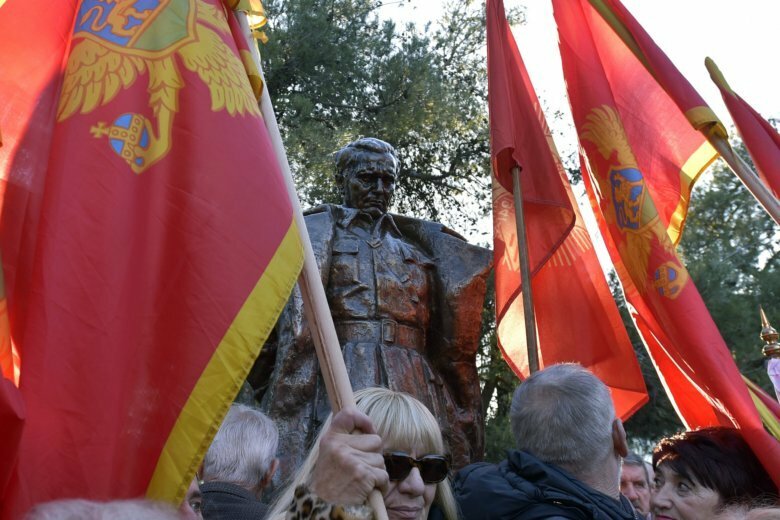 PODGORICA, Montenegro (AP) — Hundreds of people gathered in Montenegro Wednesday as authorities unveiled a monument to the late Yugoslav leader Josip Broz Tito — a rare honor for communist dictator who was widely denounced after the breakup of Yugoslavia during the 1990s. The ceremony in Montenegro’s capital of Podgorica marked the anniversary of Tito’s anti-fascists liberating the city from Nazi German occupiers at the end of World War II. The crowd waved Montenegrin and old Yugoslav flags and sang songs about Tito’s partisan movement, reflecting nostalgic sentiments many have for the former Yugoslavia nearly three decades after the country dissolved in bloodshed. While Tito ran Yugoslavia as a dictatorship, Yugoslavs enjoyed free travel and relative openness compared to contemporaries in other communist countries in Eastern Europe. From 1946 until 1992, Podgorica was called Titograd – Tito’s city. The Montenegrin capital now has a street named after Tito and privately owned Radio Titograd. Historian Milos Vukanovic said Montenegro has preserved most of the 600 monuments and memorials that were inaugurated before Yugoslavia’s collapse.